Ryan Gosling. Dammmmmmmnnnnnn. Again Ryan Gosling. Dammmmmmmmnnnn. What’s not to love about this man. Seriously. Dammmmmmnnnn. Can’t lie I’ve spent hours looking at his ‘Hey Girl’ memes and more hours just staring at his face. As most girls I’ve cried over The Notebook, laughed at Crazy, Stupid, Love and held my breath throughout Drive. Also fallen more in love with him in Lars and the Real Girl. 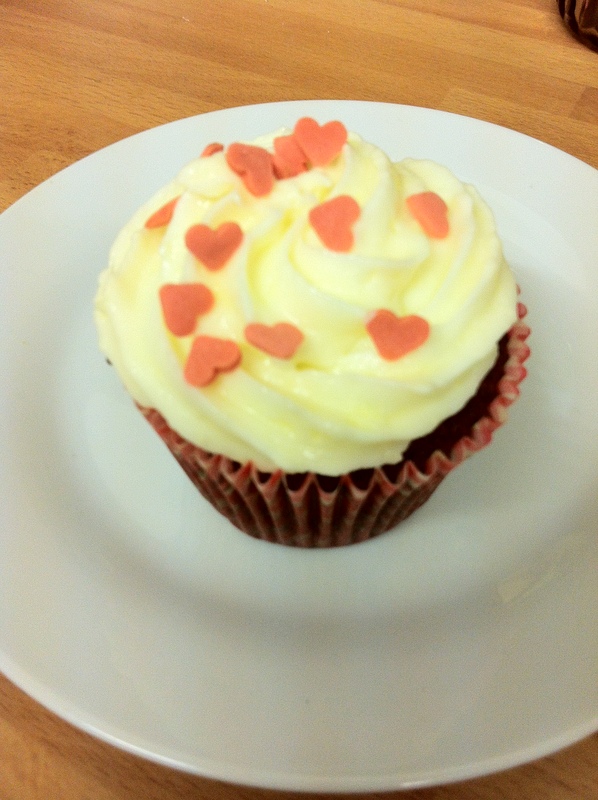 This Valentines Day, I am single and would like to say I’m not an overly bitter single at the sight of the decorations in the shops, the menus for two and soppy love songs on the radio, but to keep the bitterness in check there will be cake. Oh there will be so much cake. So as an ode to the man I wish I was spending my Valentines Day with (yes after finishing this post, I’m checking myself into a psychiatric ward for being delusional), I made Blue (Velvet) Valentines Cupcakes. As many blogs are going for Red Velvet Cupcakes to celebrate this holiday, I’m going blue and I’ll be watching Blue Valentine again. It’s a bittersweet film about a couple falling in love and the struggles along the way. And Ryan Gosling sings. Swoon. 1. Preheat the oven to 180C. Line a muffin tin with flouncy cases. In a bowl, sift the flour, cocoa powder, bicar of soda and baking powder. 2. 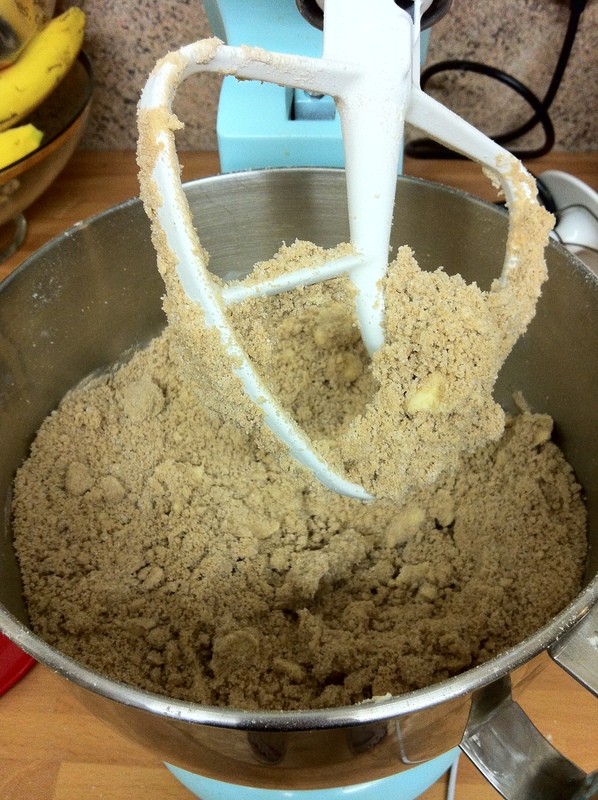 Add the sugar, butter and sour cream.Mix well until the mixture looks like breadcrumbs. 3. 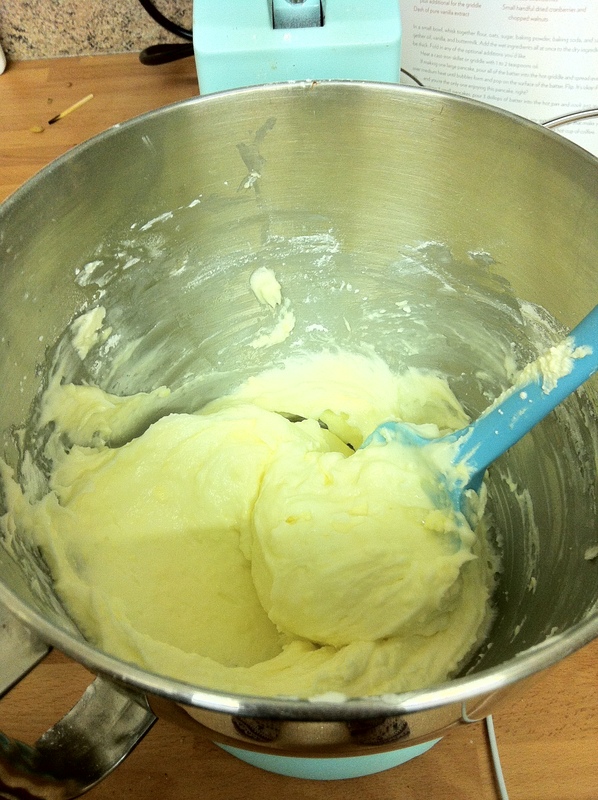 Stir together the vanilla and eggs, add bit by bit to the flour mixture, slowly so it doesn’t curdle. 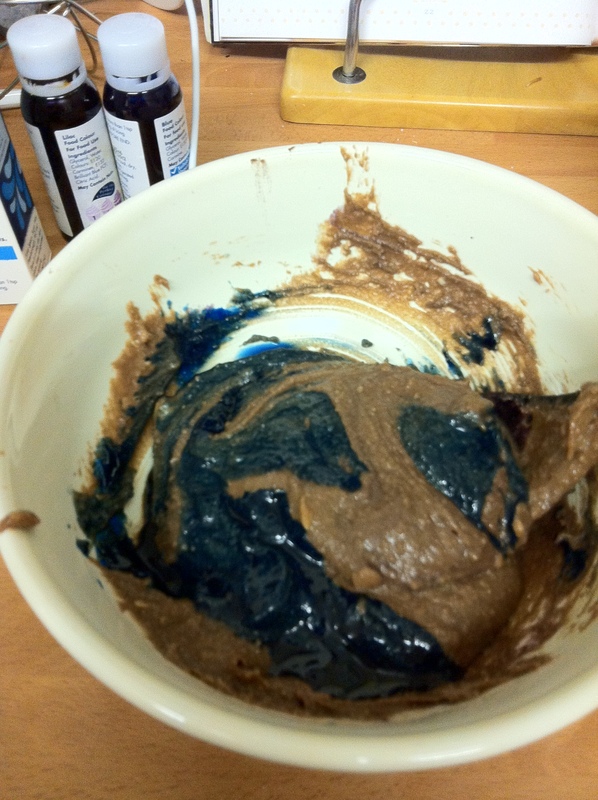 Stir in the colouring until a lovely shade of blue. 4. Pour the mixture into the awaiting cases two-thirds full. Bake for 20 minutes. Leave to cool. 5. To make the frosting, cream the butter and cream cheese until fluffy. Slowly beat in the icing sugar so you don’t cover yourself in the sugar and inhale the stuff. Add the vanilla extract and beat until smooth. 6. 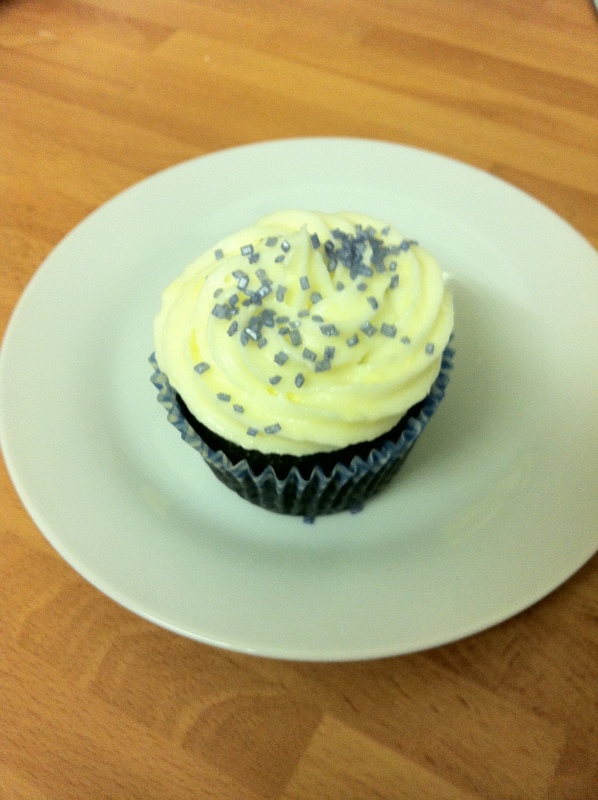 Spoon the frosting into a piping bag fixed with a plain nozzle and pile the frosting on top of the cooled cakes. Sprinkle with edible glitter or sprinkles. 7. Curl up in bed with a couple of cupcakes and Ryan – his film’s of course….